​This winter I have very limited bake days, but sourdough bread freezes so well you can just stock up! 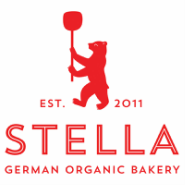 You can find STELLA Bread at the Bozeman Winter Farmers Market at the Emerson Cultural Center in Bozeman, MT and at my house in Four Corners. ​NEVER MISS A BREAD DAY AGAIN!